Six years ago this February, I stood atop a mountain in Michoacan, Mexico and listened to the deafening sound of butterfly wings flapping. It sounds crazy, but standing amongst millions of black-and-orange butterflies you can actually hear the wings as they beat together. 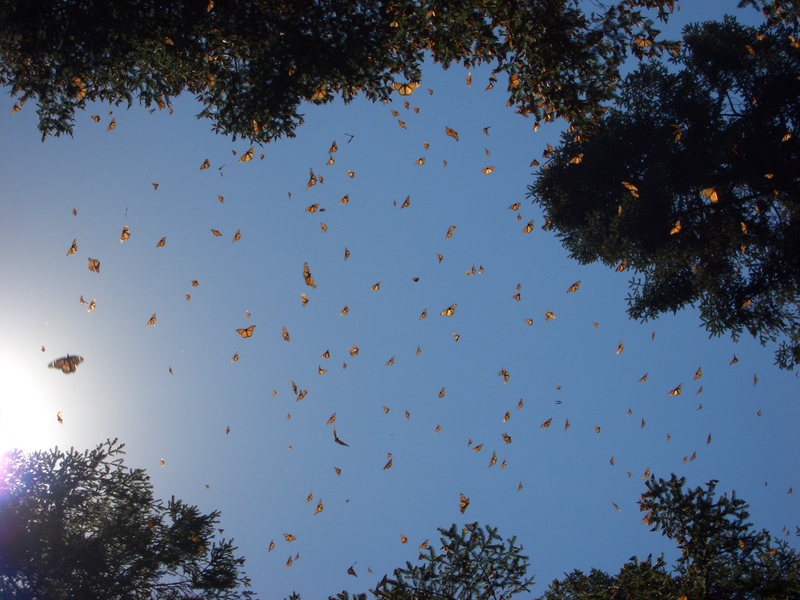 The monarch rise from oyamel trees en masse as the sun hits the branches, taking off for nectar and water. You step around thousands of butterflies puddling on the forest floor and still more float through the air above you. As I stood there, surrounded by millions of monarch butterflies, I couldn’t help but think that Shakespeare was talking about the monarch overwintering grounds when he said, “this most excellent canopy, the air, look you, this brave o’erhanging firmament, this majestical roof fretted with golden fire”. The forest canopy is alight with golden fire in Michoacan. In 2005 I completed my student teaching with an inspiring cooperating teacher who was a member of the Monarch Teacher Network. During those first months of school I helped her and the third grade class raise monarchs, release them, and plant milkweed. We studied monarchs in language arts, geography, social studies, math, and science. Parents planted milkweed from seeds their children found. Students raised caterpillars they found in their own backyards. We stopped class to watch the “pupa dance” as a caterpillar transformed into a chrysalis. We stopped again when the butterfly, wet and crumpled, emerged from it’s chrysalis days later. I had never been so inspired and I immediately signed up for the summer workshop that my cooperating teacher had taken. That summer, I spent 3 days learning about monarch butterflies at a Monarch Teacher Network workshop and I’ve never looked back. I’ve raised monarch butterflies in the classroom with third graders, sixth graders, and high schoolers. I’ve spoken about monarchs at schools and libraries. I stop on the side of the road to check milkweed and I hand out seeds to people I meet. My father and sister raise monarchs each summer, using the information I gained at the workshop. And each summer since then I have been a volunteer staff member at at least one Monarch Teacher Network workshop. But in 2008 I was overcome with gratitude when I received a fellowship to Mexico, where I was given the chance to visit the overwintering grounds (You can read about it here). It was a life-changing experience and one I hope to repeat someday. Now I don’t know if that will happen. Because the monarch population and migration has been depleted. At an all-time low, the population may be beyond the point of no return. Yes, weather plays a role in the cycle of the migration, but humans have a much bigger toll. Development has stopped the spread of milkweed, the only plant monarch caterpillars can feed on. GMOs have taken over land that milkweed naturally spread to. We aren’t paying attention and now we may lose the migration, one of the greatest migrations on earth, within a few years. Plant milkweed! Order some from the suppliers recommended by Monarch Watch, a fabulous organization. Bring the Monarch Teacher Network to your area! If you want to bring the workshop to your school, library, or nature center you can email bhayes@eirc.org or call 856.582.7000 x110. They go everywhere! Give them a call now, as they are scheduling workshops for this summer. Spread the word! We need this to go viral. We must protect the migration! Stop what you are doing and go pick up this book. The Butterfly’s Daughter by Mary Alice Monroe was just the book I needed to get out of my reading slump and I have been recommending it to everyone I know. I have a personal connection to the story of the monarch butterfly’s migration, but this is a story that many people will identify with. Luz Avila’s mother abandoned her as a child and she was raised by her Abuela. Now that she is in her twenties, Luz takes care of her grandmother. She works a factory job, dreaming of the day she will be able to go back to school. But the job pays the bills and lets her grandmother live life relatively worry-free. But when Abuela suddenly announces that she wants to take Luz home, to visit their family in Mexico, it breaks Luz’s heart to have to say no. She promises that they will go one day, after they save the money and pay off a few more bills. Abuela dies before plans can be made, and Luz is plagued with regret. Then she wakes up a few days after the funeral and sees an out-of-season monarch butterfly in the garden that her abuela so loved. It’s a sign, and Luz takes it to heart. For the first time in her life, she throws caution to the wind and lives life spontaneously. In a few short days she is in an old, beat-up VW bug on her way from Milwaukee to Mexico. She carries Abuela’s ashes with her, planning to scatter them in the monarch sanctuaries near her family’s ancestral home in Angangueo, Mexico. This is a quest story, a journey, both spiritually and physically. Along the way Luz meets women who leave an imprint on her life and her heart, changing the way she looks at the world. Each woman alters the flight path a little more, but they all enrich Luz’s life. And when her mother reappears in her life, Luz must decide which way to fly. As a monarchaholic, I know this book would affect me deeply. But I also believe the casual reader will find themselves immersed in the tale of the monarch butterfly. And the descriptions! Oh, the language in this book! I’ve been to Angangueo, to the sanctuaries, and I’ve visited Alternare in Michoacan. Reading The Butterfly’s Daughter transported me back to the dusty dirt roads high in the Transvolcanic Mountains. I could smell the fresh blue corn tortillas and hear the sound the butterfly wings beating in the blue sky. The language of the Purepuchuan people rings in my ears even now. (Read about my time in Michoacan). Monroe traveled to the sanctuaries with Monarchs Across Georgia, a group very similar to my beloved Monarch Teacher Network, and the authenticity of her book speaks volumes about that trip. I could not put the book down. Highly, highly recommended. Published for adults, but with definitely crossover YA appeal. Want to visit the sanctuaries? 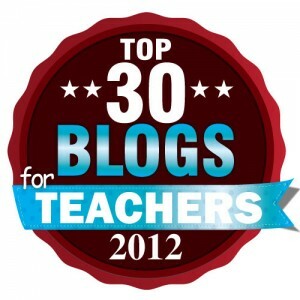 Read my post about an amazing professional development opportunity for teachers! Monarch Butterflies, Milkweed, and Migration…. I just finished watching the Insect episode of LIFE on Discovery. If you haven’t been watching this series, you are seriously missing out. It is absolutely incredible. The footage of the monarch migration was stunning and incredible. Definitely made me “homesick” for Michoacan. 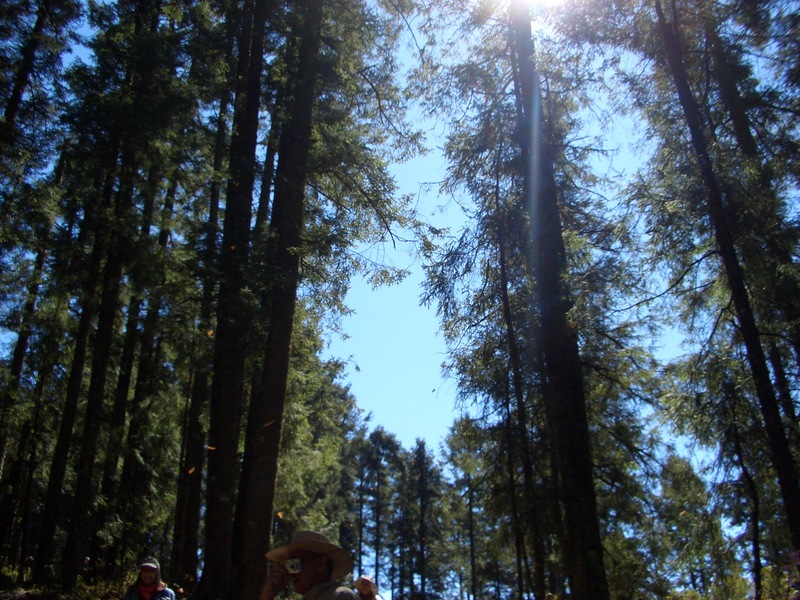 I visited the oyamel forests in Michoacan, Mexico in February 2008. It was a life-chanigng experience. The experience was spiritual and standing amongst millions of fluttering wings, the only sound their quiet flapping, was the closest I have ever felt to God. It’s an experience I wish everyone could live. Now, the monarchs are in trouble. The combination of the floods in the reserves this winter and the habitat destruction in the US are forcing the monarchs to disappear. Due to the deaths from the severe weather in the reserves, scientists think it will take at least 2 years (maybe more) for the population to return to the levels of earlier this year. Unfortunately, this year’s population was already obscenely low and lower than the last few years. So we need to do what we can to help. Planting milkweed is huge and many organizations, like Monarch Watch, are starting campaigns to inform people of the importance of planting milkweed. There have been numerous news reports on the monarch crisis. Check out the GMA and CBS News videos. Tonight’s episode of LIFE seems to have gotten the attention of a lot of people, too. The Facebook messages and Twitter responses I got from friends and family after the episode aired were awesome. I had no less than 10 people send me messages asking me things like, “You’ve been there, right? It looked incredible! I’d love to go someday”. How awesome is that? Airing the footage of the reserves in HD seems to have made a huge difference. The footage itself was short but stunning. Hopefully there are many more people out there who thought the same thing and will look into visiting and along the way will learn about planting milkweed, helping the migration, etc. 🙂 Even if they never get to Mexico, the monarchs will be in a better position. And that is something we all benefit from.